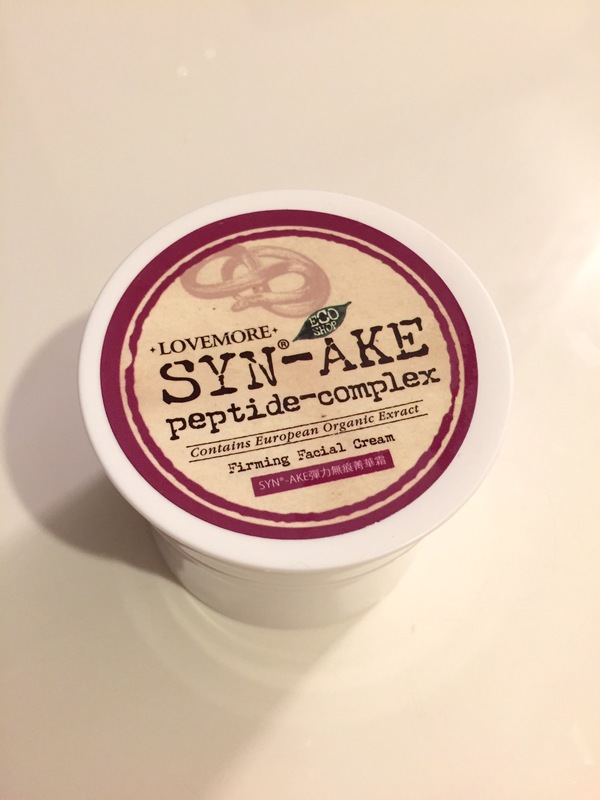 After applying a Lululun mask (special green grapefruit edition,) I slathered this Lovemore Syn-ake all over my face. YES it feels firming, if only temporarily. It smells a bit musky, almost like a soft English leather mixed with a tea rose scent. 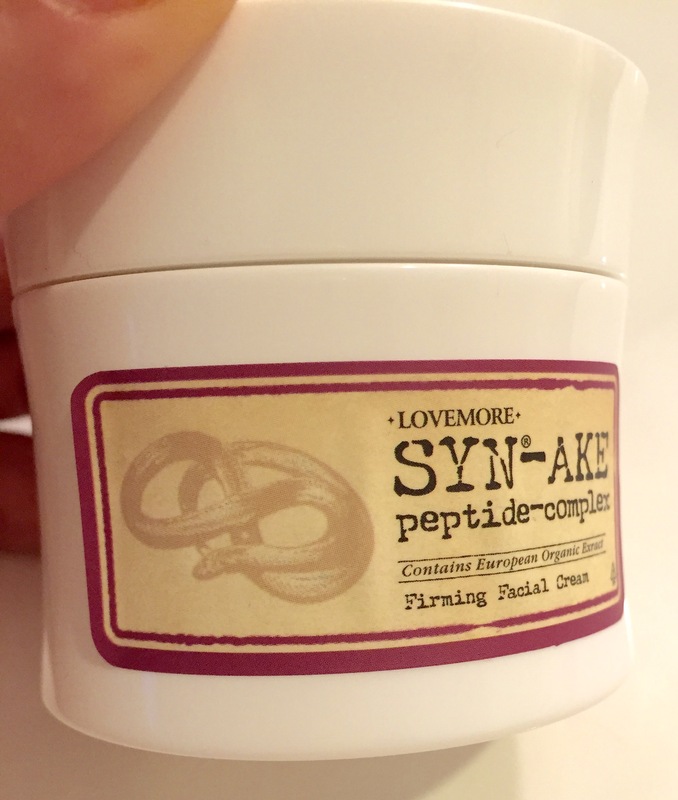 It’s a very different but rather pleasant scent for a face product. 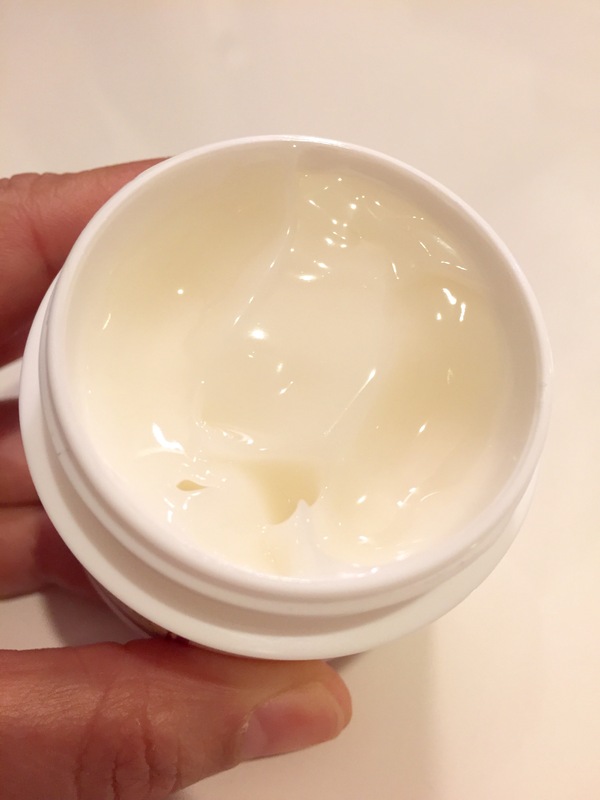 The texture is of a light, bouncy cream, almost like a moisturizing gel but a bit heavier. Pros: cheap at $20, pleasant scent, effective at hydrating and softening (anti-wrinkle property is debatable,) lots of product for the money. Cons: ULTRA hard to find even among my selection of random products, cheap label sticker keeps on peeling off, not really anti-wrinkling. Hi, out of curiousity, did you purchase this from Beauty Star in Pacific Mall? I’ve just purchased the Snail Mucin version of this product, same brand and packaging and also couldn’t find any further information! Seems like it’s not available anywhere online either. Thanks for posting this review!